Save on the cost of a company car by using GoTo instead. 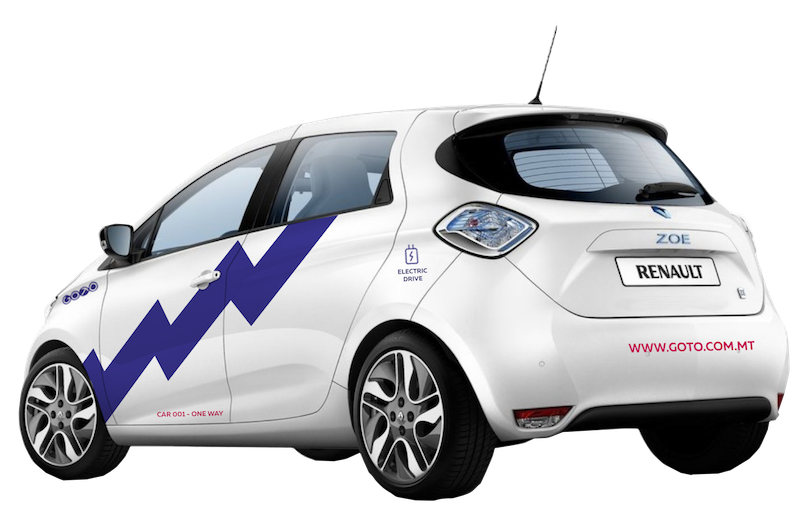 Our bespoke corporate car sharing service introduces flexibility for transport options within your business, boosting efficiency and saving costs. How Corporate Car Sharing Can Benefit Your Business? A full fleet of cars available without any financial commitment, annual costs or long term contracts. Our business accounts cover up to 15 drivers and enjoy discounted per-minute driving fees. The GoTo business membership is €43 per month (excl VAT), and the per-minute rate is only €0.22 (excl VAT). Parking, Valletta CVA entrance fee, battery charge, insurance, maintenance and cleaning are all covered within our standard charge. Booking and management of our cars are simple and transparent. Pay monthly, with all the accounting information you need covered in one monthly invoice. Having all your travel expenses consolidated into one monthly invoice means less paperwork for you, and more time to spend on your business. Your business account administrators will be given electronic access to your account, allowing them to add or remove drivers, access invoices and update company information. GoTo Malta offers ways to separate business and personal trips. This is why our car sharing service can also be offered as a perk to your employees for their own private use. Call us anytime at +356 2226 8000 or fill in the form below.